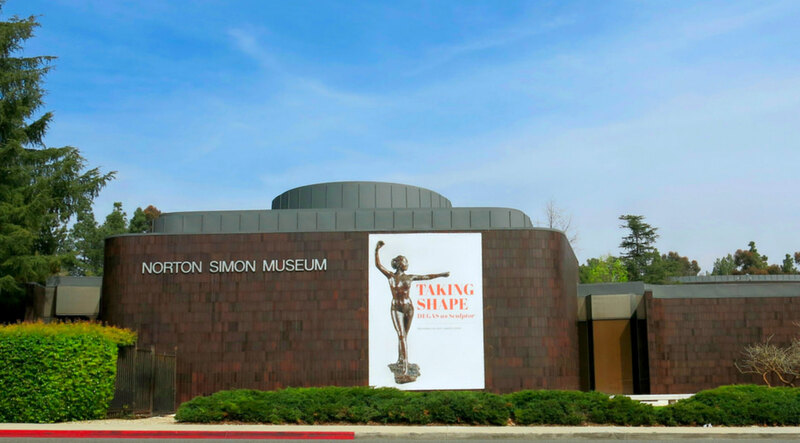 Norton Simon exhibition Taking Shape: Degas as Sculptor tells a story of just one statue, Little Dancer, Aged Fourteen. Degas only showed one sculpture his whole life. This little piece became a huge controversy by using real materials: wig hair and silk for the point shoes. Degas had made countless other sculptures but only showed them to his friends. They never made it to the public eye until his death-one hundred years ago this year. Degas made over one hundred and fifty models and seventy four were well preserved. 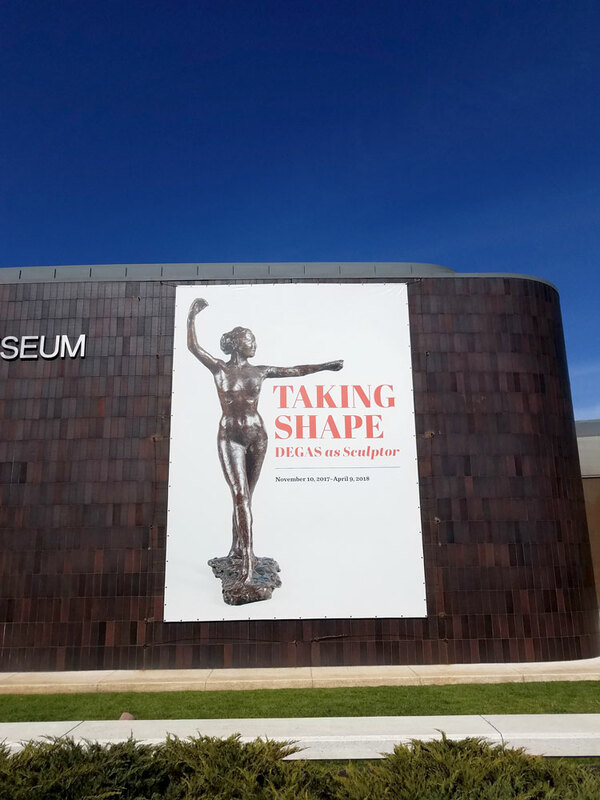 This exhibition focuses on the practice of this artist with a collection of modéles (the original works of art that were cast from the original plaster and wax statuettes). These are the one-of-a-kind dating before his numbered bronzes. These pieces show the touch of the artist with impressions of pliable wax or plaster over the wire armatures. These original works of art were called “trials” (experiments). 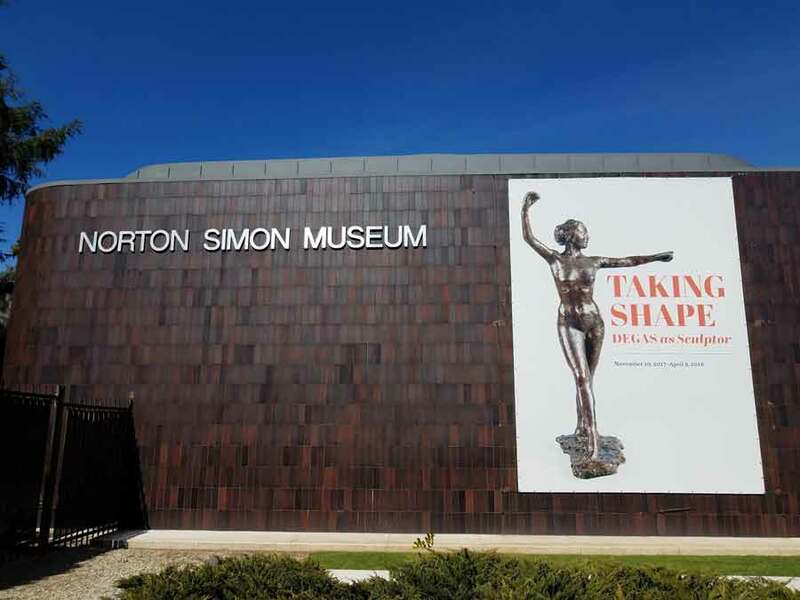 Olson Visual installed a large graphic of the exhibition on the exterior of the building.